Grab your nine iron, putter, and all of your other favorite clubs because it’s time to get your golf on! Missouri is full of great golf courses and we’re here to show you the best courses open to the public. Here are our picks for some of the best public golf courses in Missouri. Come out and experience what people consider the best value in Kansas City! Swope Memorial Golf Course was designed in 1934 by famous architect A.W. Tillinghast. This great course was home of the PGA Tour’s Kansas City Open in 1949—the only public course in the area to have hosted a PGA Tour event. MariMack is a privately-owned golf course in Kearney featuring a driving range, sports bar and restaurant that is open to the public. 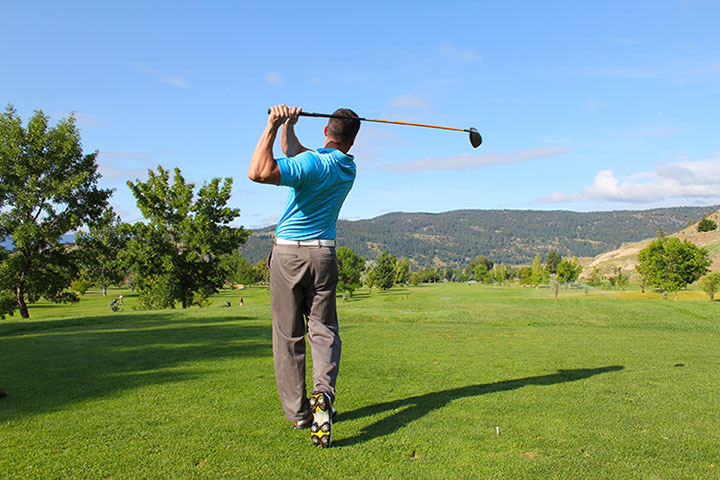 At MariMack Golf Complex you can improve your short game, enjoy a quick round of golf, or just fall in love with the greatest game ever played. MariMack is a par 3 golf course that was formerly known as Clear Creek. Pheasant Run Golf Course and Family Golfplex opened in 1997. This gold course stands out because it provides customers with the distinctive feature of being entirely lit. Other features include a heated and covered driving range, a miniature golf course, 18-hole pitch and putt, and an 18-hole executive course. Welcome to Golf Club of Incline Village aka the “Green Island!” This great course features 6,008 yards of golf from the longest tees for a par 71. The Golf Club of Incline Village opened in 1964 and golfers of all skill levels enjoy this picturesque setting in this scenic facility in West St. Charles County. This course is sure to challenge all those who come to play! Welcome to world-class recreation in the heart of the Ozarks! This par 3 course was designed by the best: Johnny Morris, with the assistance of golf legends Jack Nicklaus, Tom Watson, and Arnold Palmer, spent almost eight years crafting the Top of the Rock Golf Course out of the Ozarks. Not only is this course is a true celebration of nature, but it is also the first ever par 3 course to be included in a PGA Tour-sanctioned event. If you love nature then you’ll love Ruth Park Golf Course (formerly known as University Golf Course)! Since 1931, this course has been a favorite destination of golfers throughout the region. This course is one of the best in St. Louis and a wonderful place for those who love the sport. Golf Magazine has recognized the excellence of this course multiple times. Stone Canyon, which opened for play in 2009, is the only Greg Norman Signature Design Course in the Midwest. The layout at Stone Canyon Golf Club provides guests with an excellent golf challenge with features like creative bunkering and landscape accents. They want you to have a great time at Eagles’ Landing Golf Course (formerly known as the Belton Municipal Golf Course)! Whether you’re playing nine or 18 holes of golf, this course has a reputation for being challenging but fair.